We are now well into the second decade of the 21st century. We came a long way since the Industry Revolution in the 18th and 19th century. Education has become more accessible as well as more important than ever. According to World Education Services in 2013, 98.4% of youth in Malaysia are literate. Completing tertiary education has become common among young people. This should mean the quality of our young employees is higher than ever, right? Unfortunately not. 6 out of 10 unemployed Malaysians are under the age of 24; and among the unemployed, 31.4% which is some 200,000 youth, are degree holders in Malaysia. According to a survey by Jobstreet, 59% of the employers have stated poor character and attitude to be the top reason for fresh graduates’ unemployment and 60% of employers also stated poor communication skills. As Dr Teh, CEO of Global Peace Foundation Malaysia, described “Moving towards 21st century, work is becoming more knowledge based, problem solving and being creative.” Most of these essential skills and characters in this century are beyond textbooks, and our grade and results centric education system is failing to address the gap in the workforce. With the Character and Creativity Initiative (CCI), Global Peace Foundation Education aims to promote holistic nurturing and make education relevant in the 21st century. CCI is an initiative of Global Peace to empower schools and educators to make learning in the classroom fun, engaging and creative for students. It strives to integrate character and creativity into all aspects of school culture, shifting the focus from pure academics to the development of the whole person. 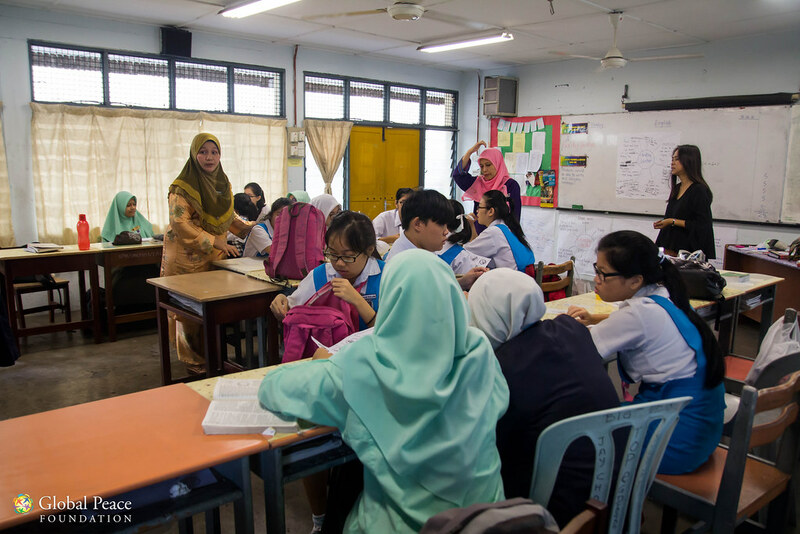 One of our approaches is to promote collaborative teaching in schools, which was carried out in SMK Puterijaya through Professional Learning Community (PLC) week. PLC is a group of educators that meets regularly, shares expertise, and works collaboratively to improve teaching skills and the academic performance of students. The Ministry of Education highly encourages PLC in schools as well yet it is not commonly practiced from our conversation with teachers in SMK Puterijaya. A good foundation of trust among teachers is required and this is where Global Peace comes in, as the role of a facilitator. Monthly before the PLC week took place we focused on team-building among teachers as well as exposing them to the benefits of collaborative teaching. Even though the benefits are obvious, some teachers were still resistant towards the idea due to their ever increasing workload and amount of syllables to teach. They are concerned that collaborative teaching will increase their workload. The PLC week was organized to help the teachers experience the outcomes and impacts of collaborative teaching and thus to shift their perspective. The main outcome we saw in the school out of the PLC week was the adoption of collaborative teaching by teachers themselves. During the PLC week, schedules were arranged to allow collaborative teachings to take place. Collaborative teaching is an activity which a group of 2 or more teachers would enter the same classroom and carry out the lesson together. This ensures collaboration in and beyond classrooms as teachers discuss lesson plans together before entering the classrooms. So how does PLC improve teaching? Every teacher have different strengths, some are creative in their lesson plan and the others may be good in storytelling. So teachers can learn from each other’s strengths. The co-planning process encourages two teachers to bounce ideas between each other in order to deliver the strongest, most creative lessons. This is extremely important in a school environment as students also learn differently from one another. “Most of the teachers know that they are supposed to be creative and engaging in the classroom, but a lot of time they say they are very busy, no time. So when they work together, naturally they want to do things differently. And doing things differently basically means making the lesson engaging and fun.” said Dr Teh. Besides that, students also get more attention through team teaching. When there are more teachers in the classroom, it becomes a lot easier for students to get one of the teacher’s attention, and also easier for teachers to reach out to their students. The teachers also made it a point to foster collaboration among the students by giving them group assignments. This required the students to communicate and collaborate with each other and thus instilling many 21st century skills. It was almost unbelievable how much the students actually enjoyed collaborative teaching in the classroom. The feedback from students were extremely positive, with comments such as “easier to understand the lesson”, “less sleepy” and “much more fun in the subject”. But more importantly, the teachers are now motivated. Dr Teh said “I believe this experience has helped them to shift their mindset and perspective that PLC is doable and the benefit to students is great”. 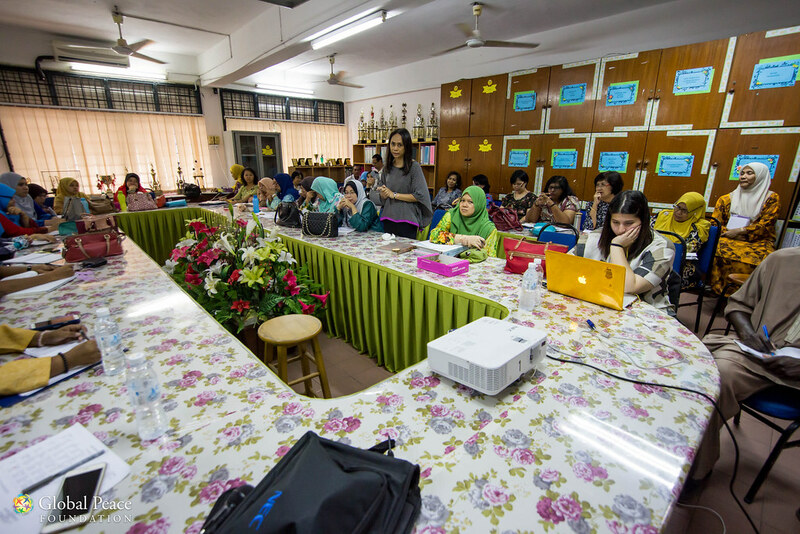 Four months after PLC week, Puan Yap, an Economics teacher in SMK Puterijaya, told us that she now regularly meets up with other Economics teachers to discuss and share lesson plans.